Not far from Grand Rapids, the Pere Marquette River is a West Michigan gem. The Pere Marquette River makes conservation look easy. One of the longest undammed rivers in the Midwest, the Pere Marquette is 66 miles of wild and clear beauty. But keeping it that way has taken a half-century of actively protecting, enhancing and restoring it. Today the river is a nationally known, high-quality stream boasting large populations of trout, steelhead and salmon. It is also home to many species of mammals, birds and other wildlife, including the endangered Karner blue butterfly. Although the river’s mouth in Ludington is less than 100 miles north of Grand Rapids, many folks in West Michigan are unaware of the recreational opportunities this natural gem provides. “For people who are interested in seeing the true wilderness in Michigan, it’s not as far as you think,” Hoogerwerf said. The Pere Marquette is extremely popular with fly fishermen and has been recognized as a world-class trout stream. But there is so much more to this river. There are numerous canoe and kayak liveries along the river, as well as campgrounds and boat launches throughout the region. Environmental stewards believe the more people get out and enjoy Michigan’s natural resources, the more likely they are to protect them. “There are so many great things about getting outdoors in Michigan. All it takes is the first step,” said Matt Pedigo, chair of the Michigan Wildlife Council, a nine-member board created three years ago to educate the public about how Michigan’s wildlife and natural resources are managed and how those activities are funded. Unlike many industrialized rivers in Michigan, the Pere Marquette has largely been protected since the 1960s from pollution and overdevelopment thanks to a vast network of public and private conservationists. In 1978, the Pere Marquette was designated as a National Wild and Scenic River — the first of its kind in Michigan. 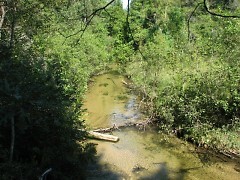 In the same year, the state named it one of Michigan’s Natural Rivers. Both designations have played a key role in protecting the natural qualities of rivers such as the Pere Marquette. “These designations have the teeth to restrict certain things from going on and keeping the river much the same way it is,” DeBoer said. To qualify for National Wild and Scenic designation, a river must be free-flowing and possess outstandingly remarkable scenic, recreational, geologic, fish and wildlife, historic, cultural or other similar values. Today there are 208 national wild and scenic rivers in 40 states and Puerto Rico totaling more than 12,700 miles. Michigan has approximately 656 miles of river designated as wild and scenic — just slightly more than 1 percent of the state’s 51,438 miles of river. Michigan’s Natural Rivers program is designed to protect the natural quality of select rivers and their tributaries by regulating their use and development through zoning rules. 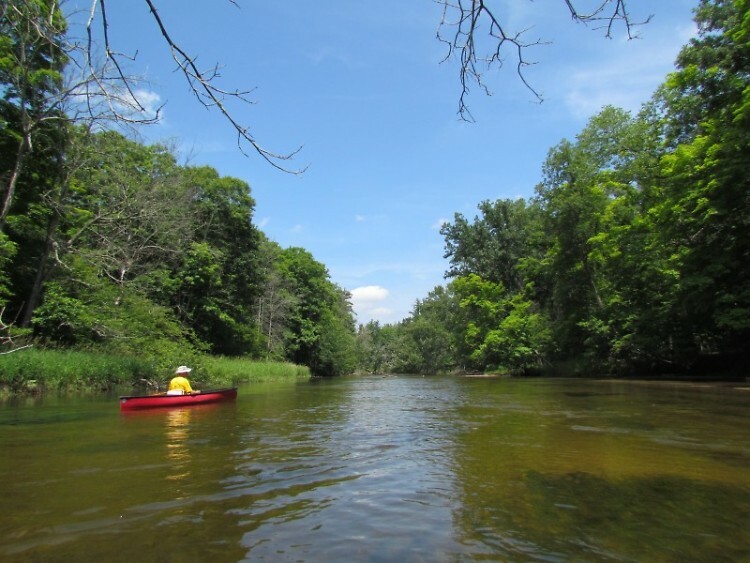 There are 16 designated Natural River systems in Michigan: Au Sable, Boardman, Betsie, Flat, Fox, Huron, Jordan, Kalamazoo (lower), Manistee (upper), Pere Marquette, Pigeon, Pine, Rifle, Rogue, Two Hearted and White. One group that has played a key role in the Pere Marquette’s preservation is the Pere Marquette River Restoration Committee. The partnership among more than a dozen federal, state, local and nonprofit entities has implemented a variety of restoration projects throughout the watershed. Since 1989, the group has completed more than $2 million in erosion control and habitat improvement projects in the watershed. And all that work has paid off. 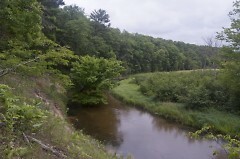 In addition to these efforts, another area nonprofit, the Conservation Resource Alliance, recently received the final funding needed to restore and reconnect more than 14 miles of habitat on Sanborn Creek, a key tributary to the Pere Marquette River. The funding came from Michigan Department of Natural Resources’ Aquatic Habitat Grant Program, which is funded annually by a portion of fishing and hunting license sales. Reconnecting these habitats will eliminate warming caused by the impounded water and reconnect natural floodplains, and therefore benefit important fish species, including brook and brown trout, as well as other wildlife that directly depend on the river. While efforts are continuing to better the Pere Marquette River, it and the wildlife that depend on it still face many threats, DeBoer said. Pollution, stream-bank erosion, invasive species and uncontrolled development could still put the river’s health in jeopardy. The Land Conservancy of West Michigan and other agencies have worked with landowners for years to protect miles of river frontage and thousands of acres adjoining it. “By working with families on the Pere Marquette River to create conservation agreements and legally protecting high-priority lands along the river, the quality of the river can be saved forever,” Hoogerwerf said. The Land Conservancy of West Michigan one year ago kicked off its Pere Marquette Wild campaign to raise $1.5 million in grants and private donations to add 10 more miles of protected river frontage in the next three years.